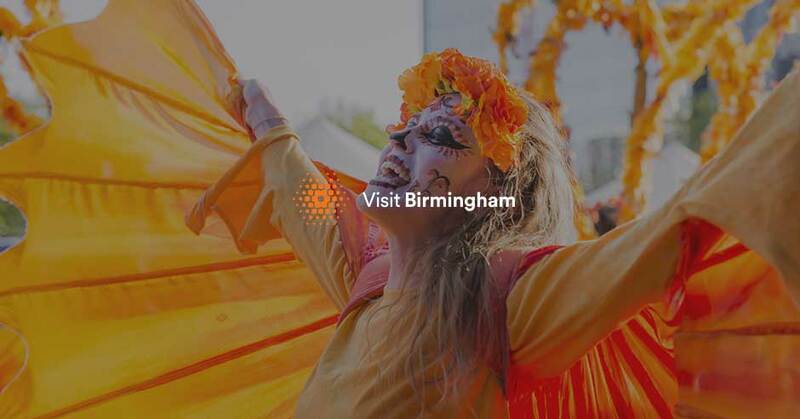 Michelin starred restaurants, stylish eateries, world cuisine, street dining, the world famous Balti Triangle, farmers' markets, sweet delights, locally sourced produce – Birmingham has it all so lick your lips and get stuck in! Who could say no to a steaming pot of tea and scrumptious array of cakes, scones and sandwiches? From gastronomic restaurants to eating freshly baked cronuts in an art gallery, Birmingham has plenty on offer when it comes to making the most unique memories. We love food in Birmingham, the city is packed with food filled festivals and events. Dining comes easy in Birmingham with hundreds of restaurants in the city and alongside the beautiful canals. Served in the stylish AC Lounge, Afternoon Tea at AC Marriott is nothing but luxurious. Found in The Arcadian, Olivia’s Townhouse is a stunning, stylish cocktail bar. Hidden away in the Jewellery Quarter, Restaurant Folium offers a wide range of modern British dishes in a relaxed, informal and intimate setting. This award winning coffee house is located opposite the historic Cathedral of St Phillip's and serves some of the best Middle Eastern cuisine and coffee in the city. Bringing you fresh zingy small plates of Indian food, Mowgli is all about how Indians eat at home and on their streets. With a incredible selection of 140 gins, 40 St Pauls is one of the coolest spots in Birmingham. Experience unfussy fine dining in an informal and relaxed setting. Located in the heart of Birmingham, Opheem strives to push the boundaries with Indian flavours, combining traditional and modern techniques of cooking. With a dedication to fine food, excellence in service and a love of the fine art of patisserie and coffee, Caffe Concerto offers some of the best Italian patisserie in the city. Ocho is a brand new pop-up dining experience which, serves up a carefully curated tapas menu inspired by Portuguese and Spanish family recipes. Setting up shop on Colmore Row, one of the best-preserved 19th century streetscapes in the country, The Alchemist aims to make Birmingham the ‘city of a thousand cocktails’. The 1565 Restaurant & Bar offers suburb cuisine from the grill which has been hand-picked and cooked with only the freshest ingredients, of the highest quality. Colourful, vibrant, creative dishes make up the menus at Chez Mal Brasserie in Birmingham. Sitting in a prime location adjoining The Mailbox shopping centre, Chez Mal is the most exciting new destination brasserie and bar in town. Located in the Custard Factory, expect to find the freshest and tastiest breakfast, brunch and lunch at Kanteen. This quaint eatery serves the best delicious, affordable and ethical cuisine, which is inspired by world street food.